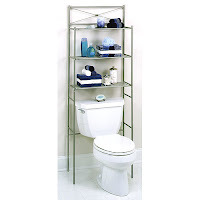 Amazon.com is selling the Zenith Bathstyles Bathroom Storage Unit in Pearl Nickel for $18.88. The reviews of this unit are around 4 stars. This is a great unit for space saving in smaller bathrooms. Normally this unit sells for $38 shipped.